Leaders have cut nuclear arsenals to levels not seen since the 1950s—but more remains to be done. The United States currently has around 4,800 nuclear weapons. About half of these are deployed among siloes, submarines, and bombers, with a total explosive yield 25,000 times higher than the bomb that dropped on Hiroshima. Russia has a similar number of weapons. Yet despite the number of weapons we have—and their alarming capabilities—there are substantially fewer of them today than there were thirty years ago. In the mid-1980s, the number of U.S. and Soviet warheads reached a peak of about 64,000. Through decisive, independent leadership, the United States and Russia now have around 9,100 nuclear weapons—an 85 percent reduction over two and a half decades. Reductions of this scale represent a widely shared belief that nuclear missiles and bombs decrease national safety. Often, reductions took place without protracted treaty negotiations or ratification battles in Congress, needing only a determined and willing president. 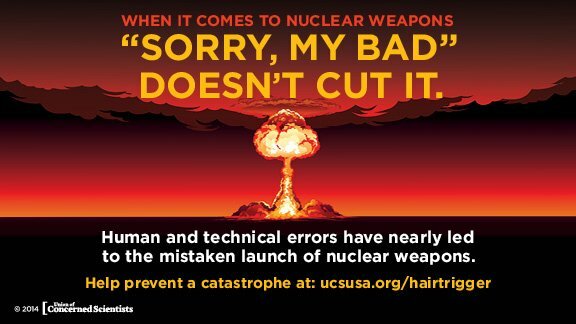 The results—fewer nuclear weapons, and limitations on their future deployment—have helped reduce the risk of nuclear use. Learn more about the history of arms control successes by downloading the fact sheet, or by viewing the interactive timeline above. View the graphic, share it on Facebook or Twitter, or take action now.